Bo Zhao is a senior economist at the New England Public Policy Center in the Federal Reserve Bank of Boston Research Department. He specializes in public finance and urban and regional economics. In 2013, he received the Boston Fed's President's Award. Zhao earned his PhD in economics and his MS in applied statistics from Syracuse University. He joined the Boston Fed in 2005 and served on the Municipal Aid Subcommittee of the Massachusetts Municipal Finance Task Force from 2006 to 2007. 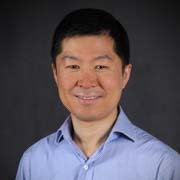 Zhao was selected by the Ewing Marion Kauffman Foundation as one of 20 young scholars nationwide to participate in the 2005 Entrepreneurship Research Boot Camp. "From Urban Core to Wealthy Towns: Nonschool Fiscal Disparities across Municipalities." 2018. Public Finance Review 46(3): 421–453. "Walking a Tightrope: Are U.S. State and Local Governments on a Fiscally Sustainable Path?" with David Coyne. 2017. Public Budgeting and Finance 37(3): 3–23. "Saving for a Rainy Day: Estimating the Needed Size of U.S. State Budget Stabilization Funds." 2016. Regional Science and Urban Economics 61: 130–152. "Municipal Aid Evaluation and Reform." 2015. Municipal Finance Journal 36(1): 27–50. "A More Equitable Approach to Cutting Intergovernmental Aid," with David Coyne. 2015. Public Finance Review 43(1): 32–52. "The Fiscal Impact of Local-Option Taxes on Municipalities: The Case of Massachusetts." 2011. Municipal Finance Journal 31(4): 63–86. "Measuring Non-School Fiscal Disparities among Municipalities," with Katharine Bradbury. 2009. National Tax Journal 62(1): 25–56. "Designing State Aid Formulas," with Katharine Bradbury. 2009. Journal of Policy Analysis and Management 28(2): 278–295. "Do Lenders Discriminate Against Minority and Woman Entrepreneurs?" with Lloyd A. Blanchard and John Yinger. 2008. Journal of Urban Economics 63(2): 467–497. "Why Do Real Estate Brokers Continue to Discriminate? Evidence from the 2000 Housing Discrimination Study," with Jan Ondrich, and John Yinger. 2006. Journal of Urban Economics 59(3): 394–419. "Does the Number of Houses a Broker Shows Depend on a Homeseeker's Race?" 2005. Journal of Urban Economics 57(1): 128–147. "Measuring Municipal Fiscal Disparities in Connecticut," with Jennifer Weiner in Connecticut Tax Panel Final Report Volume 2, eds. Robert Ebel and Michael Bell. 2015. "Data Appendix," in The Color of Credit: Mortgage Discrimination, Research Methodology, and Fair-Lending Enforcement by Stephen L. Ross and John Yinger. 2002. Cambridge, MA: MIT Press. “Consequences of State Disinvestment in Public Higher Education: Lessons for the New England States.” 2019. Federal Reserve Bank of Boston New England Public Policy Center Research Reports No. 19-1. “State Disinvestment in Higher Education: The Impact on Public Research Universities’ Patent Applications.” 2019. Federal Reserve Bank of Boston Research Department Working Papers No. 19-2. “Disinvesting in the Future? A Comprehensive Examination of the Effects of State Appropriations for Public Higher Education.” 2018. Federal Reserve Bank of Boston Research Department Working Papers No. 18-1. "Transparency in State Debt Disclosure," with Wen Wang. 2017. Federal Reserve Bank of Boston Research Department Working Papers No. 17-10. "Reintegrating the Ex-offender Population in the U.S. Labor Market: Lessons from the CORI Reform in Massachusetts," with Osborne Jackson and Riley Sullivan. 2017. Federal Reserve Bank of Boston New England Public Policy Center Research Reports No. 17-1. "Does Changing Employers' Access to Criminal Histories Affect Ex-offenders' Recidivism? Evidence from the 2010‒2012 Massachusetts CORI Reform," with Osborne Jackson. 2016. Federal Reserve Bank of Boston Research Department Working Papers No. 16-31. "The Effect of Changing Employers' Access to Criminal Histories on Ex-offenders' Labor Market Outcomes: Evidence from the 2010‒2012 Massachusetts CORI Reform," with Osborne Jackson. 2016. Federal Reserve Bank of Boston Research Department Working Papers No. 16-30. "Haves and Have-Nots: Municipal Fiscal Disparities in Connecticut," with Calvin Kuo. 2016. Communities & Banking Spring: 28–31. "From Urban Core to Wealthy Towns: Nonschool Fiscal Disparities across Connecticut Municipalities," 2015. Federal Reserve Bank of Boston Research Department Working Papers No. 15-14. "Achieving Greater Fiscal Stability: Guidance for the New England States," with Yolanda K. Kodrzycki. 2015. Federal Reserve Bank of Boston New England Public Policy Center Research Reports No. 15-2. "Measuring Municipal Fiscal Disparities in Connecticut," with Jennifer Weiner. 2015. Federal Reserve Bank of Boston New England Public Policy Center Research Reports No. 15-1. "Saving for a Rainy Day: Estimating the Appropriate Size of U.S. State Budget Stabilization Funds," 2014. Federal Reserve Bank of Boston Research Department Working Papers No. 14-12. "The Role of Economic, Fiscal, and Financial Shocks in the Evolution of Public Sector Pension Funding," with Robert K. Triest. 2013. Federal Reserve Bank of Boston Research Department Working Papers No. 13-26. "Walking a Tightrope: Are U.S. State and Local Governments on a Fiscally Sustainable Path?" with David Coyne. 2013. Federal Reserve Bank of Boston Research Department Working Papers No. 13-18. "Making State Aid Cuts More Equitable," with David Coyne. 2012. Communities & Banking Spring: 24–26. "A More Equitable Approach to Cutting State Aid," with David Coyne. 2011. Federal Reserve Bank of Boston New England Public Policy Center Policy Briefs No. 11-2. "Designing Formulas for Distributing Reductions in State Aid," with David Coyne. 2011. Federal Reserve Bank of Boston New England Public Policy Center Working Papers No. 11-2. "Municipal Aid Evaluation and Reform," 2011. Federal Reserve Bank of Boston New England Public Policy Center Working Papers No. 11-1. "Making Municipal Aid Count: Mind the Gap!" with David J. Coyne. 2011. Communities & Banking Spring: 23–25. "Reforming Municipal Aid in Massachusetts: The Case for a Gap-Based Formula," with David J. Coyne. 2010. Federal Reserve Bank of Boston New England Public Policy Center Policy Briefs No. 10-2. "Does Springfield Receive Its Fair Share of Municipal Aid? Implications for Aid Formula Reform in Massachusetts," with Marques Benton, Lynn Browne, Prabal Chakrabarti, DeAnna Green, Ana Patricia Muñoz, and Richard Walker. 2010. Federal Reserve Bank of Boston New England Public Policy Center Working Papers No. 10-4. "The Fiscal Impact of Potential Local-Option Taxes in Massachusetts." 2010. Federal Reserve Bank of Boston New England Public Policy Center Working Papers No. 10-2. "Designing State Aid Formulas: The Case of a New Formula for Distributing Municipal Aid in Massachusetts," with Katharine Bradbury. 2008. Federal Reserve Bank of Boston Research Department Working Papers No. 08-2. "Measuring Non-School Fiscal Imbalances of New England Municipalities," with Katharine Bradbury. 2007. Federal Reserve Bank of Boston New England Public Policy Center Policy Briefs No. 07-6. "Measuring Disparities in Non-School Costs and Revenue Capacity among Massachusetts Cities and Towns," with Katharine Bradbury. 2007. Federal Reserve Bank of Boston Research Department Working Papers No. 06-3 (revised May 2007). "The Lack of Affordable Housing in New England: How Big a Problem? Why Is It Growing? What Are We Doing About It?" with Alicia Sasser and Darcy Rollins Saas. 2006. Federal Reserve Bank of Boston New England Public Policy Center Working Papers No. 06-1. "Time for Massachusetts to Reform Obsolete, Unfair Local Aid Program," with Yolanda K. Kodrzycki. 2015. New Bedford Standard-Times. January 16. "Symposium on Fiscal Disparity and Equalization: Introduction to Symposium," with Yonghong Wu. 2014. Public Finance and Management 14(4): 371–373. "State Needs to Reform Local Aid Program," with Yolanda K. Kodrzycki. 2013. Boston Globe's The Podium. May 21. "Reforming Municipal Aid in Massachusetts," with David J. Coyne. 2011. MassBenchmarks 13(2): 15–20. "Do Credit Market Barriers Exist for Minority and Women Entrepreneurs?" with Lloyd A. Blanchard and John Yinger. 2005. Syracuse University Center for Policy Research Working Papers No. 74. "Why Do Real Estate Brokers Continue to Discriminate? Evidence from the 2000 Housing Discrimination Study," with Jan Ondrich and John Yinger. 2005. Syracuse University Center for Policy Research Working Papers No. 67.